Christian Bale could soon be parting the Red Sea as Deadline reports that Twentieth Century Fox and director Ridley Scott are keen to have the star play Moses in an upcoming epic based on the biblical figure’s life. Titled Exodus, the film was initially scripted by Bill Collage and Adam Cooper with Steve Zaillian providing rewrites. 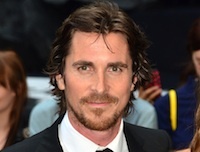 Bale, who last appeared on the big screen in Christopher Nolan’s The Dark Knight Rises, can be seen later this year in David O. Russell’s still-untitled drama and Terrence Malick’s Knight of Cups. Exodus is one of two competing big screen stories about Moses in the works. Warner Bros. is developing Gods and Kings. Scripted by Michael Green and Stuart Hazeldine, the film had initially attracted the interest of Steven Spielberg. Now, however, it is said that Spielberg is out and that the studio is keen on signing Ang Lee to helm.